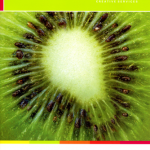 Atlantic Creative are specialists in graphic design and branding for the food service industries. They provide marketing expertise to some of the biggest and best known brands in the world. When it came time to produce a brochure to promote its own services, design agency Atlantic asked me to write the copy.